This was the best week of training so far in 2014. I’m starting to be able to get more miles in, and they are getting faster with less pain. Because the mountains are still filled with a nearly record setting snowpack, I spent much of the weekend running on slick rock in Red Canyon and at The Bus Loop. When Evan and I got out for 13 miles on Sunday the air was crisp, but the sun was hot; it was starting to feel almost summer-like. 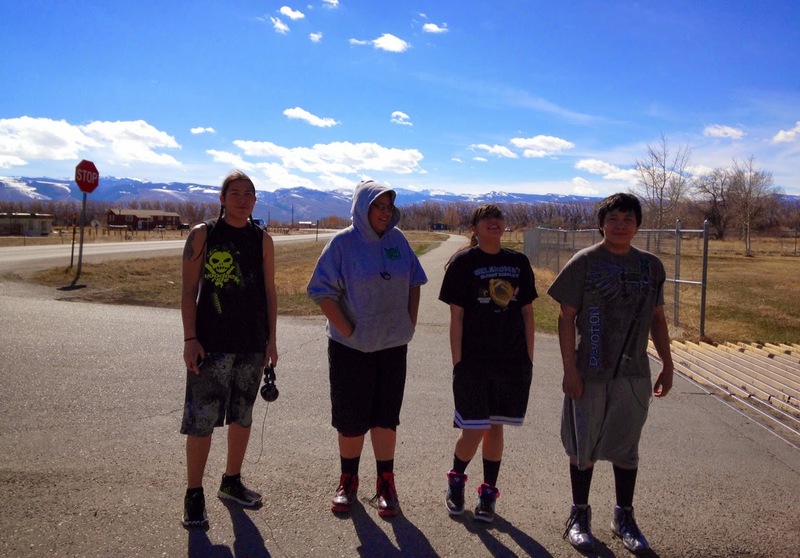 I’ve also been getting some miles in after school helping a few Fort Washakie students get ready for the Mocassin Lake Challenge; an 18 miles mountain run on the Wind River Reservation at the end of May. I think it’s pretty special that there is an event like this on the rez, and it is super cool that some high school students are up for the challenge. Some of my student work really hard to move as little as possible throughout the day, so to have some students that want to run after school is phenomenal. I’m really proud of this group and its fun to already see them looking stronger as they run. 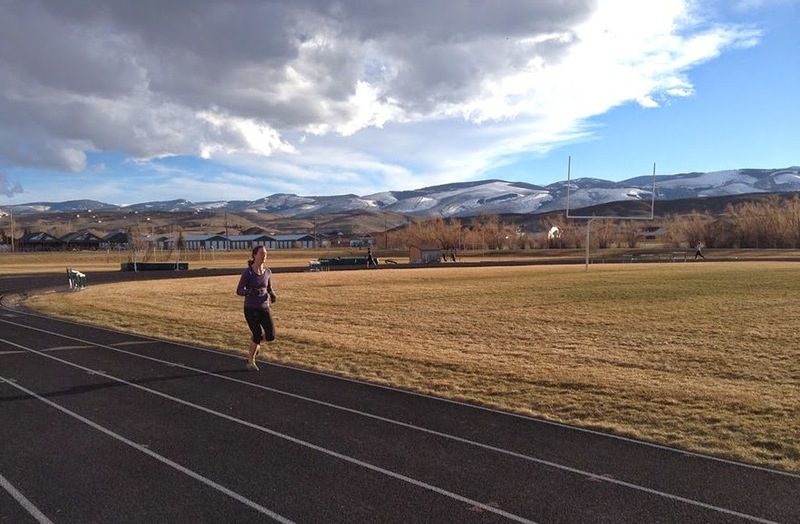 Jenny and I both got after it on the track this week with some 6 minute repeats. The Lander Running Club is doing some cool stuff and I am glad to be a part of it. I put a picture of a Jenny up instead of me because she is much better looking than I am. 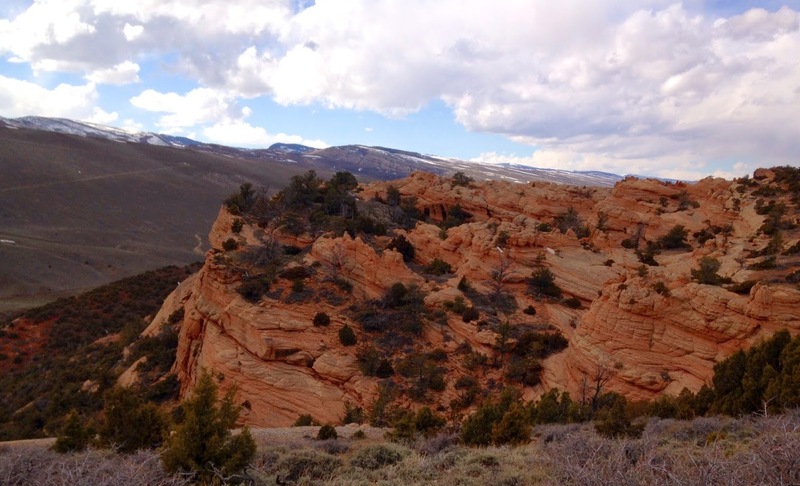 On Saturday I had a fun run on the cliffs of Red Canyon. I kind of wandered around exploring and it was a nice little adventure run. I was very surprised to run into a couple of moose in a narrow drainage. I suppose that is their winter range, but nonetheless I was still not expecting two giant moose to appear 30 yards in front me. For flour, Jenny used rice, garbanzo bean, and coconut rather an an “all-purpose” flour mix. I just need to say it again: these muffins rocked my world. Next, its time for a recovery week. 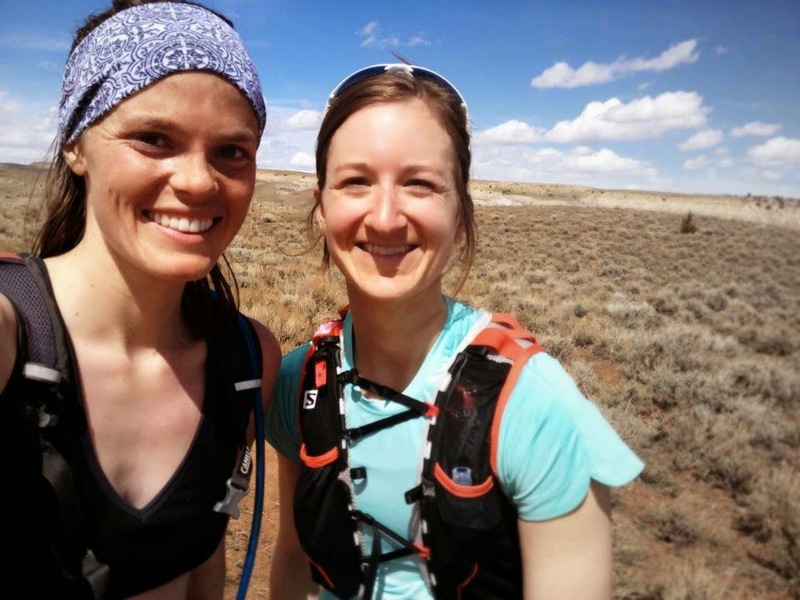 After that we’ll be heading down to Fruita for Jenny to run the Desert Rats Trail Running Festival Marathon, and then onto Moab for camping, running, hiking, and a little more slick rock fun.